We are open by appointment between 10am and 5pm, Monday to Friday. Make an appointment for fitting and style advice. Discover the worlds finest tailoring that disregard anything that detract from the tailoring alone and is still made entirely in Great Britain. We offer a wide range of carefully curated British cloths, working with our Signature Levett Block you can customise your suit from our menu of design options and a variety of trims. 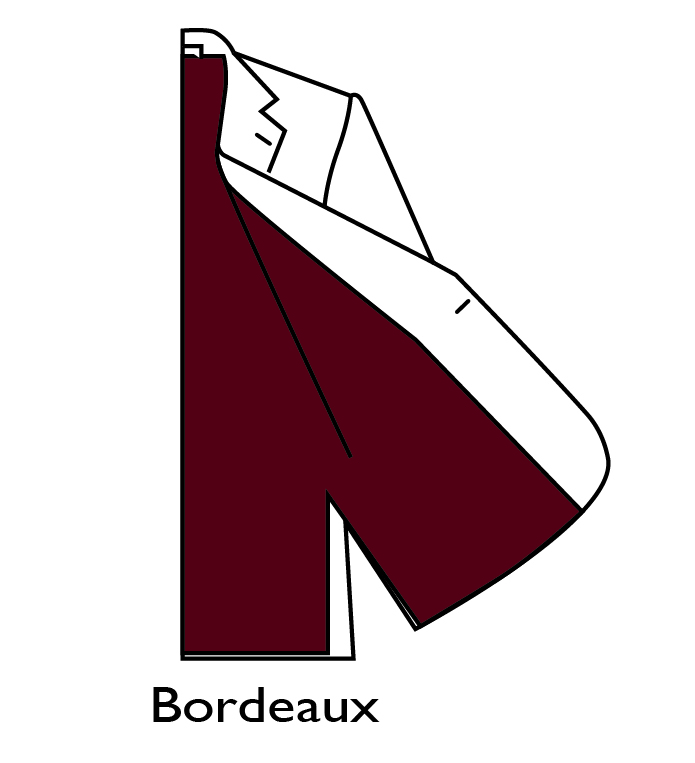 It takes between 4-6 weeks to complete and is ideal for customers who fit an off the peg suit but want specific sizing options and wish to customise the design and detail of their suit. We'll show you how to get started below. We'll email you updates along the way. Create your design from our drop down menu, submit your design, before selecting your cloth and confirming you order. 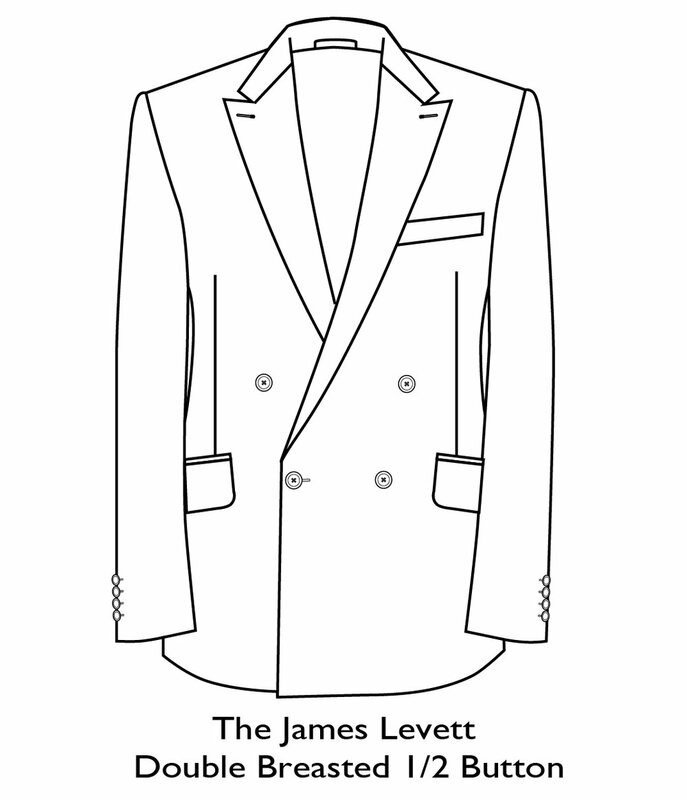 All jackets are available with three or four button cuffs. Either combination is available in sham or real functional cuffs. All linings have the touch and feeling of silk enabling the jacket to side onto your back and allowing the jacket to move with you. Each button has unique characteristics and these natural buttons, apart from looking better are stronger and more durable. 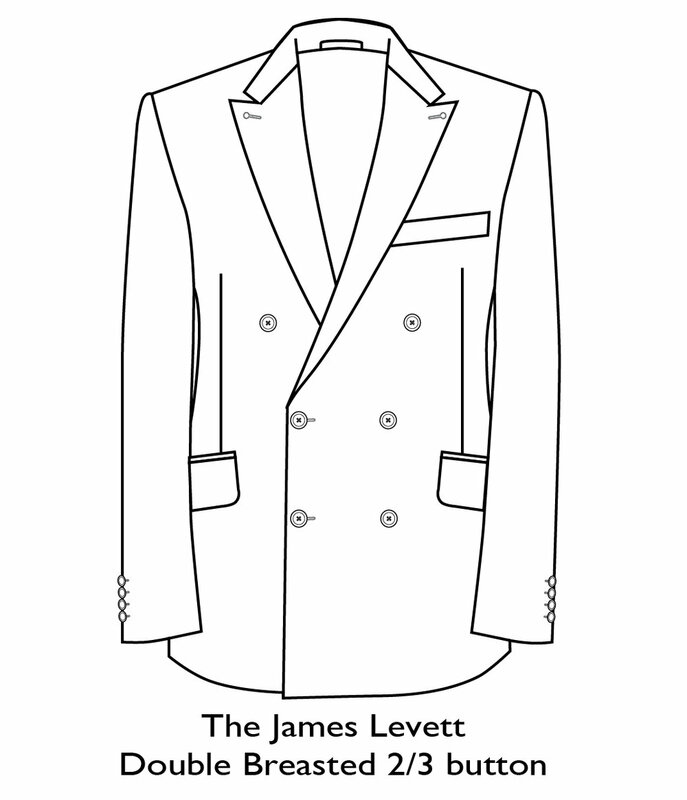 The James Levett trousers are cut to rest high on the hips and sit relatively close to the leg. Edge stitching is very delicate and show signs of a classic bespoke finish, it has the effect of softening the lapel edge and jacket. No stitching is slightly more modern and produces a harder edge to the lapel and front jacket edges. 7mm stitching give a sportier look. Once you have submitted your design, select your cloth and we will make it to your exact specification.